The first unofficial context #tweetup took place over the weekend of the 30th July. Seán and myself met with fellow curators Ian pollard and Cameron McEwan, as well as contributing students Tom, Michael, and Dan at Peter Zumthor’s pavilion at the serpentine gallery in Hyde Park. Our discussion was given a kick start by our choice of venue. Opinions between us varied greatly as to the success of the pavilion, and comparisons were drawn to James Turrell’s ‘skyspaces‘. I found the pavilion a delightful object, which was simultaneously simple, subtle and striking, its oppressive shade and rectilinearity when viewed from without, providing a striking contrast to the dynamic internal geometry, and planted garden within. Criticisms and praises abounded in equal measure concerning the use of materials, the honesty in the way the object was put together, and the rough and ready finish that was present throughout the project. The discussion soon moved on to the task at hand, the project that had brought us together in the first place. It was great to start putting faces with names, and move beyond the anonymity of emails with which we had largely communicated thus far. The ensuing conversation was definitely more than the sum of its parts; refreshing to see a whole new spectrum of thoughts relating to the project in this way. As the sun faded over Zumthor’s hidden garden, we moved the conversation to a nearby pub, an altogether more familiar setting for a bunch of young architects, before heading our separate ways. A great day out of the office, and an excellent method of moving the project forward. Heres hoping for more days like these. I arrived early to the QUB degree show on its opening night – just as tutors Andrew Clancy, Colm Moore and Neasa Hourigan were shifting some large plaster models into position and ensuring the space was ready for the imminent festivities. The exhibition is accessible from the leafy suburban street, and the building recognised easily owing to its palette of green architectural panelling. The lower years of the school were well represented in their selection of work, with a dense and adventurous arrangement of models occupying large central tables. It is clear that for many students models played an key role in the process of inquiry, and in the final representation of their project designs. It is unfortunate then, that the level of inquiry shown in students’ elegant and precise pencil surveys of existing buildings in Belfast was not as visible in the drawn representation of the design projects – which for the most part employed a traditional combination of CAD and Photoshop. There is some degree of difference in the themes considered in the final-year thesis projects – what could be expected ‘naturally’ – but the work is not explicitly divided into that of autonomous units. Their exhibition gives the impression of one large group divided only by the individual agendas of each project, and this perhaps reflects the pedagogical structure. Many students spoke enthusiastically of the interaction which seems to exist vertically between years, and others spoke on the perceived limitations of units as ‘artificial’ divisions. Again, a large array of models dominated the exhibition spaces, which encouraged visitors to dwell, investigate and engage. The MArch year displayed a wider range of drawings, and included some good examples of hybrid and fully analogue techniques, often used to poetic effect. Few thesis documents were available to the interested visitor however, and in an exhibition not narrated by unit themes I desired some text to locate the projects within an architectural discourse. Thankfully many students were stationed beside their work, as it was the opening night, and all spoke in an articulate manner about their influences and ambitions. 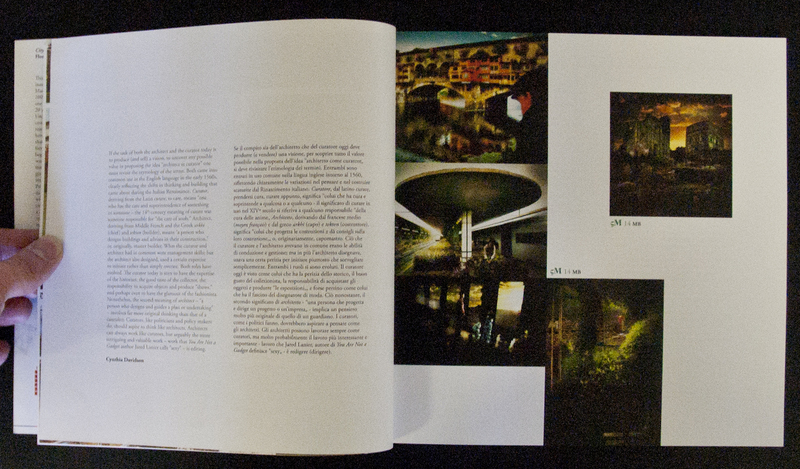 The school publish a annual journal of architecture. This theme for this year is ‘Context’, and will consider architecture as “a vessel of a culture and place”. Peripheries, the current edition, positions the school as host to the similarly titled 8th annual AHRA conference, which will take place at QUB this October. When I think of Wales, I think of valleys and mountains, coastlines, sun, and rain. I think of the Centre for Alternative Technology (CAT) to the north in Aberystwyth, and the Welsh language that is still spoken and apparent on all signs throughout the land. (There are other things I think of as well, but they don’t lend themselves as easily to this romanticised account of the place). I think of a country where nature is still high on the agenda, where the landscape is revered by its inhabitants, ingrained as it is in their culture and identity. The Welsh School of Architecture (WSA) at Cardiff appears to have adopted this connection to nature wholeheartedly into its curriculum, displaying at their show, a host of projects with an emphasis on drawing, making, and crafting by hand. Accounts of live building projects and the role of sustainability within the school further affirm this. Over the six MArch units that I viewed the vast majority of students had used highly refined, hand made drawings to test and describe their projects. This was not surprising whilst viewing Steve Coombs unit ‘the workshop’ which placed the connection between design and making at the very core of its programme, nor Richard Westons unit ‘materials’ to which the clue is in the name, but was striking to see in the ‘digital tectonics’ unit led by Wassim Jabi as well as Peter Salters ‘infrastructural urbanism’. Whilst it was refreshing to see such high importance placed on the hand making of drawings, there were very few examples that really challenged the conventions that drawings like this so frequently adhere to, or pushed their logical conclusions into new or different directions. Plans, sections, details and axo/iso projections (whilst necessary) were abundent, and fairly tame, whilst watercolours were the tool of choice for conveying atmosphere. Having said this, there was an alternative to be found in the work of some students, to whom the differences between drawing and model were less pronounced. Collages, pop-up and layered 3d drawings provided a fresh alternative to the majority of orthogonal representations, as did the many excellent sketchbooks on display. Given its distance from the magnetic force of London, Cardiff appears to have carved out a comfortable niche for itself, capitalising on its proximity to nature, reflecting this with an emphasis on hand made, crafted, and material projects, and contributing to a strong identity emerging within Welsh architecture. I only wander whether it may be a little too comfortable, or maybe a little too isolated, difficult as it was to see many influences from outside the school infiltrating or influencing the work on the walls. The exquisite siting of the aa at its location on Bedford Square never fails to impress, the subdued facade of the school’s terrace often belying the experiments that take place behind its closed doors. Today, the doors were open, and looking around this years show, it appears the school has lived up to its grandiose setting and its equivalent reputation. The diploma work was interspersed with the ‘intermediate’ work throughout the first and second floors of the school building. The work was hung imaginatively, and many of the units really shone through in their installation. Sometimes this went too far and the mountings distracted or obscured the work they were supposed to display, but on the whole the balance had been struck well. Almost everything appeared to have been made with real care, digital creations equally crafted in their physical manifestation as the variety of drawings, models, devices and objects in which was visible the hand of their maker. A nice counterpoint to this was found in the recent acquisitions on display in the stairwell, a series of drawings by former students peter reich 1963, and peter klein 1978. Highlights for me were diploma 11’s ‘city stripped bare’ [with Shin Egashira], fragments of east London recreated on a wall of models, diploma 9‘s ‘kontextkammers’ [with Natasha Sandmeier], fantastical projects sited in the fabricated contexts of the students imaginations, and diploma 6’s ‘never never lands’ exploration in the australian outback [with Liam Young & Kate Davies]. However, this quality does come at a price, and the aa is renowned for its high tuition fees. 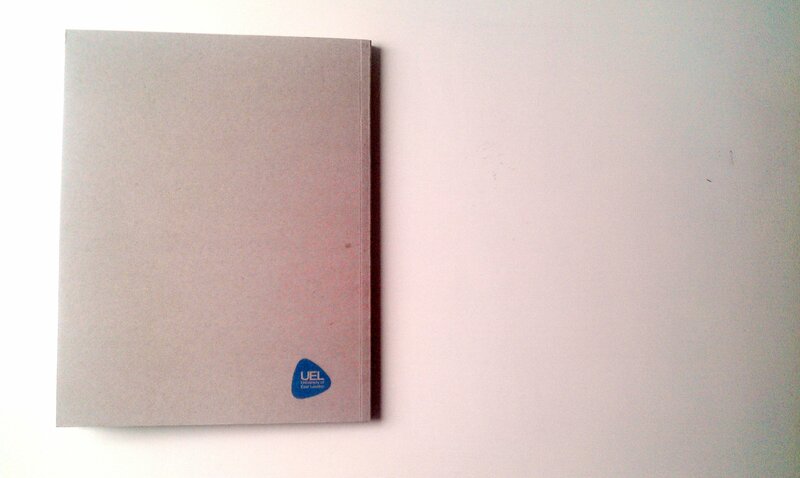 Fitting then, that at £25 the exhibition catalogue is also the steepest I have seen. Still, I suppose they have to cover the rent somehow. Tempted as i was to join the long queue of tourists queuing for a glimpse of the new Wills and Kate waxwork in the adjacent Madame Tussauds, I kept to my MO, departing Baker Street for a look around the comparatively lower key ‘Open 2011’ exhibition at Westminster school of architecture, (no queues around the block to get in here). The school of architecture occupies the fourth floor of the campus building, with a fifth floor balcony level that provides further studio / exhibition space around the perimiter of the building, as well as offering views and lighting into the studio below. A large proportion of the available space was given over to the eight diploma units that the school offers, with each given a roughly equal and clearly demarcated space to inhabit. As a result of this, the exhibition was very easy to navigate. However, this rectilinear approach may also have inadvertently played down the diversity between the studios, as the inhabitation of each space followed a fairly uniform convention, to which there were few challenges or subversions throughout. The most notable exception to this was unit DS15, whose work ‘Riviera Hotel’ (which looks great in the catalogue) had all but disappeared due to the disturbingly common phenomenon of premature evacuation. Despite this, the work on display was thoughtfully (if tamely) presented, and of a consistently high standard. The range of research that the different units encompass was very wide reaching, and seemed frequently to be driven by the search for original and radical responses to contemporary issues. Of these, DS10’s investigations into fetishisation (led by Marjan Colletti and Hannes Mayer) were the most obviously provocative, with students exploring the fringes of Londons subculture to find inspiration in the obessions of bodily mutilation. This was not a display for those of a squeamish disposition. On a more playful note, DS17s ‘film and architecture’ led by William Firebrace and Gabby Shawcross utilised a troupe of devices to explore the Three Mills area of East London, producing colourful and imaginative proposals steeped in the ideas of time and narrative. Downstairs, DS14 ‘wanderacres’, led by Susanne Isa and Joerg Majer took on the Lea Valley as a testing ground for new models of urbanism. Learning from the well documented road trip to Los Angeles, students produced an interesting range of prototypes and architectural devices to test their ideas about the future configuration of this part of the city. 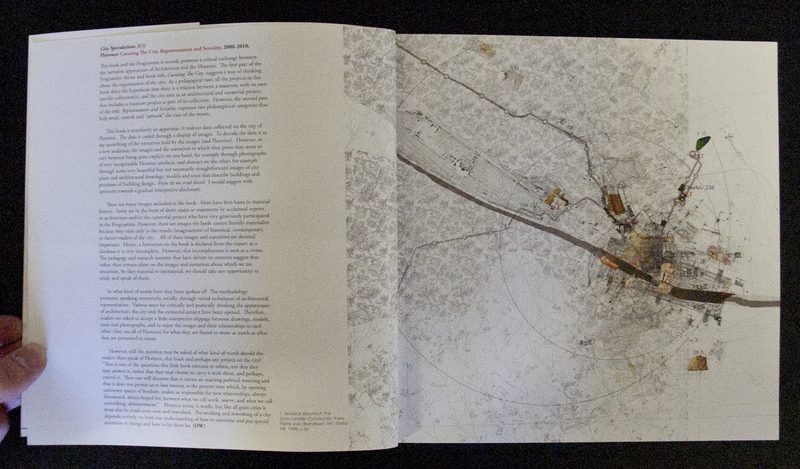 Further afield, DS12 ‘(re)adjusted territories’ led by Jeanne Sillett and Mark Rintoul drew on the ‘baffling’ topography of Madrid to produce a range of proposals that were subtle, sensitive, and suggestive. Whilst the scope of the school was impressive, the methods of representation on display were less dynamic. I was very pleased to find some well taken photographs of models in this exhibition, something that has proved surprisingly elusive throughout the other shows i have seen. However, there were few examples of drawing as a means of thinking, with more emphasis placed towards the final product, and while this may seem appropriate to an end of year exhibition, it would be nice to be able to flick through some of the sketchbooks or earlier investigations that have undoubtedly led to some of the projects on show. Nevertheless, the exhibition gives a great idea of what westminster is all about, and if you don’t like queuing, is a worthy alternative to the models on display across the street. 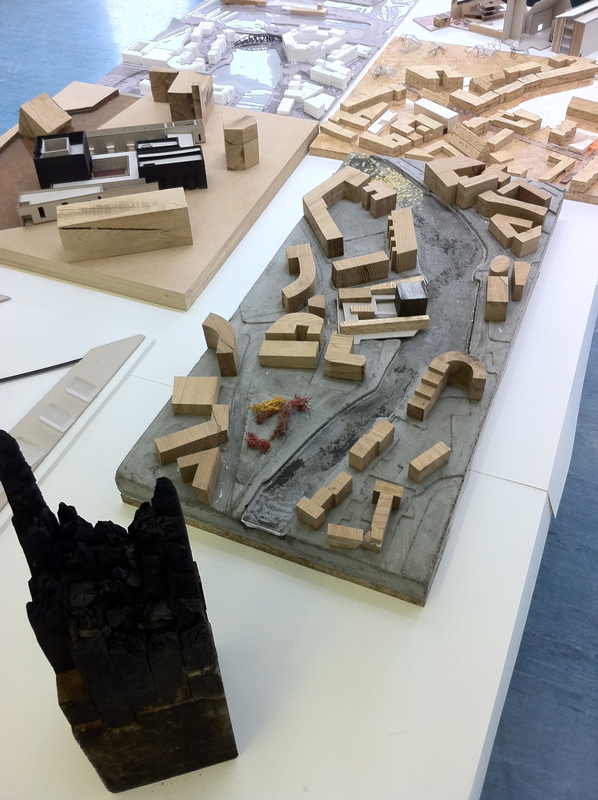 The ECA architecture degree show is a fairly compact affair, occupying an exhibition space that compensates for its limited dimensions by providing a view of Edinburgh castle as a dramatic backdrop to proceedings. Perhaps motivated by the cosy conditions the students have opted for a very exhibition focused display. Plans and sections are a rarity among the tightly controlled presentations while those that do crop up are made to work hard, grafted into montages with more expressive drawing types. Often students have chosen to display only one space or element from a larger project. Rather than attempt to explain a whole yearʼs worth of work. Synne Brustadʼs enigmatic wall mounted window frame provides glimpses into four carefully realised spaces. There is a clear sense that students are treating the drawings and models, the physical outputs of their studies, as artefacts in their own right, not merely representations or stand-ins for an unrealised whole. The photomontage is the most common technique on display, used to great effect by Tomos Osmond to bring texture, mass and, ironically, life to his project for an urban crematorium in Leith. The use of drawings and models as qualitative, expressive artefacts continues throughout the exhibition, from Daniel OʼDonnellʼs exquisitely precise hand drawings to Tom Russellʼs sketchbooks full of mysterious drawings and murky photographs. There is a quirkiness to the exhibition and a self confidence evident in the varied array of often cryptic presentations. We are offered an enticing glimpse into imagined worlds and are, quite deliberately, left with more questions than answers. From where I live in Islington to the docklands campus of the University of East London, it took travelling 1.5 hrs. Slow as this seemed, it was a sunny, sight-seeing jaunt along the overground and DLR, whose routes usually serve me not. The docklands campus is relatively new, opening in 1999 – it becomes clear the moment you step off the Cyprus stop that you are, in fact, in a gleaming, paranoia-sci-fi stage set and not the rickety, run-down art school one sometimes expects. ‘Paranoia-sci-fi’ seems a bit much? All the gleaming surfaces greeting my eyes were of polished, unknownable composite materials in suspiciously neat arrays, with almost every door between DLR stop and the architecture exhibition itself requiring keycard access! I had to subvert this system and make a few phone calls to gain entry. I must have been doing something humorously wrong, right? Access? 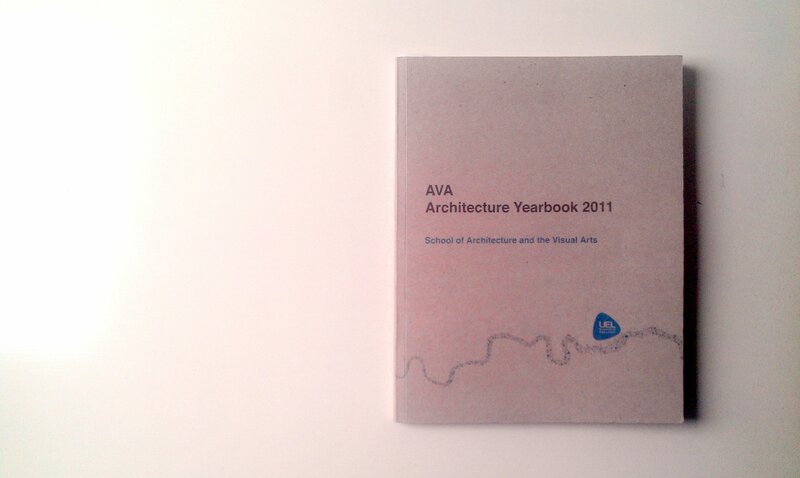 Eventually inside the school of Architecture and the Visual Arts [AVA], I was suitably impressed with their facility. A large, industrial-like mezzanette comprised the exhibition space; while during the year the lower level is occupied by the ‘Degree Units’ with the ‘Diploma Units’ lived above. The drawings exhibited were generally a treat to look at, with some remarkable models on display. Within minutes of pondering, then pandering, around the Diploma students’ projects it was apparent this school had a impressive [plaster] casting workshop, with kit and skills to boot, since a majority of models were carefully crafted things. The average quality [craftsmanship, detail, technique, finish, evidence of material understanding…] of cast models was remarkably high, eclipsing the question one has concerning this material’s apparent frequency of application. Kindly, three graduates met and spoke with me at the show; Cleia Ntassi & Marcus Andren of Unit 9 and Wilf Meynell of Unit 3. 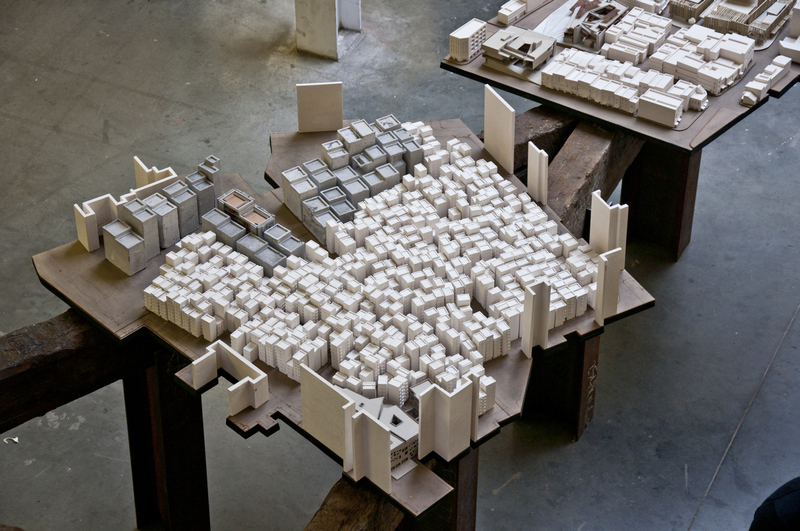 With the title ‘Enveloped Territories – Guangzhou’ Unit 9, led by Robert Thum, conceived a stunning display of work based around a depressingly dense Chinese ‘special economic zone.’ The focal point the unit’s display is an ambitious group-effort model of seemingly hundreds of abutted buildings. Fascinating to peer into, this model wreaked of claustrophobia, of the community that survives there and of the stagnant heat implicit in such an arrangement. Similarly impressive was Unit 3, led by Mark Hayduk with Isaac Cobo i Displas, who ran with the title ‘Stillness + Ghosts’ this year. Their “territory of study” was the city of Havana, Cuba, with the students telling their project’s stories through mainly stacked models on a purpose-built, shelved structure. The AVA publish an all inclusive Architecture Yearbook, which was designed by Robert Thum & Unit staff & AVA Architecture Students. 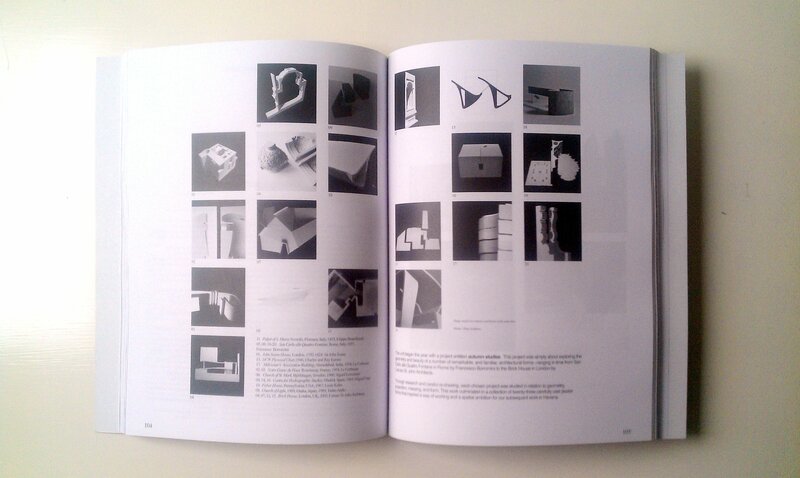 They also publish a broader AVA book, no specific to architecture studies, available online. If there is a sense that UEL’s arch school has a less provocative profile when compared to the other, louder londoners, well I found the drawings and exhibition here clear and intriguing, and while their buildings’ doors may need retina scans this time next year*, at least these student’s present accessible projects! * the retina scan is a figment of my imagination, keycard door locks were not. Glasgow School of Art [GSA] runs a diploma course rather than a Masters which perhaps is reflected in a more design – and less theory – orientated output. The degree show presents large scale, complex projects, developed to a high level and presented in detail.While there is the benefit of inclusiveness with with this setup, the connection between design projects presented and the accompanying theory work (a dissertation written over fourth and ﬁfth years) was hard to see. The use of computer drawings and images is near universal, with particular strength in rendered 3D sections and axonometrics which are well utilised to explain the complex schemes. The work of Andrew Macpherson is a good example of experimentation and process being visible in model but not in the drawings which are very much ﬁnished artefacts. This is repeated throughout the show. There is a clear effort to present complete, precise work. Ambiguous, suggestive, unresolved and expressive work is conﬁned to sketchbooks such as those of Biu Chan. The most striking exception to this is the work of Richard Almond whose (computer drawn) sections have an enigmatically murky watercolour feel. His series of simple, modest industrial forms are powerfully modelled in rusting steel and brass mesh. There is a suggestive quality to this work, the presentation leaves plenty of ambiguity, allowing the viewer to provide his own interpretation of the detail of the spaces. This illustrates an important distinction within architectural presentation. Goodbun and Jaschke (2005) suggest that architectural drawing can preform four distinct roles; imaginative, social, technological and persuasive. The work on show at GSA is for the most part belongs to the latter two categories. Traditional plans and detail sections are used alongside more graphical 3D diagrams to explain structural systems, layout, circulation, etc. These could be considered technological drawings since they essentially seek to communicate the quantitative aspects of a design in a direct manner using the codification and conventions of the construction industry. These drawings are all part of the same language of orthographic projection, symbols and scales. Because of this the medium in which they are produced is of secondary importance, just as with hand written or typed language, the content is unchanged by the production method. The other major theme in the drawings on show is what could be referrd to as persuasive images. These drawings are expressive in nature and attempt to convey the qualities of a space rather than its technical characteristics. They make extensive use of rendered 3d models and montage techniques to convey lighting, massing, activity, materials and other atmospheric factors. This ties into one of the essential fault lines in architecture, the dialectic between the scientific and the psychological, between the measurable and the subjective. Perhaps the strongest use of CAD is where it produces traditional architectural drawings which could potentially have been created by hand, leaving the subjective and persuasive side of the presentation to a more expressive medium. Because the work at the GSA degree show is the same as that presented for ﬁnal reviews, there is a lot of content which could arguably have been removed. Drawings such as detail sections and structural diagrams have there own distinct, particular purpose with none of the ambiguity or suggestive qualities of the main presentation. It really depends on the aim of the exhibition to define which type of drawings are suitable, but the advantage of the way that GSA has presented is that it highlights this discussion and effectively illustrates the strengths and weaknesses of different drawing styles and mediums. 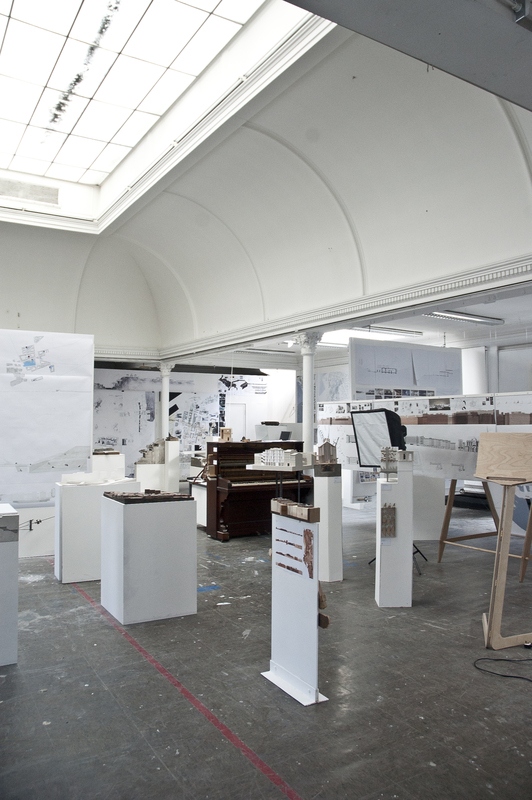 Designed and curated by students, Between the Material and the Virtual elegantly presented a selection of work produced by the first group of students to graduate from the newly combined University of Edinburgh / Edinburgh College of Art Master of Architecture programme at Edinburgh School of Architecture and Landscape Architecture (ESALA). 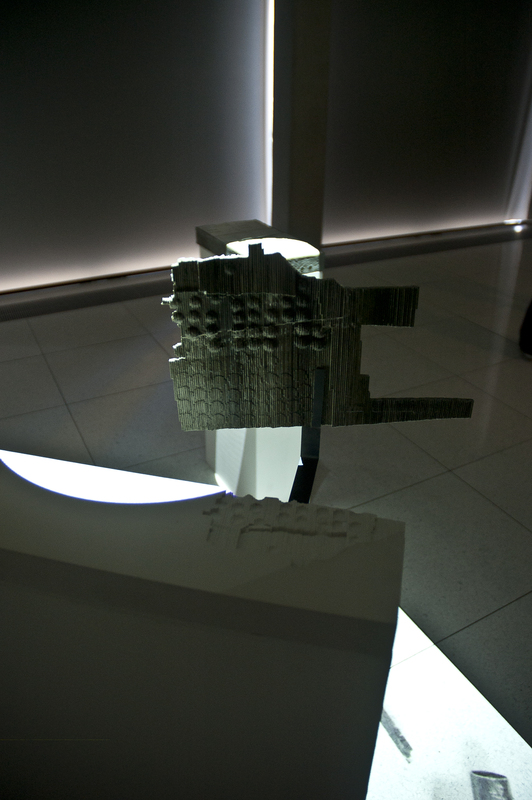 Held at Inspace, the for-one-night-only exhibition contained a series of scale models perched precariously on plinths, the process by which they were constructed shown as a time-lapse directed to the floor surface; projectors displayed a mixture of still and moving images that contextualised the city of study (University of Edinburgh investigated Marseille; Edinburgh College of Art, Budapest); and an interactive digital walk-through projected onto the wall extent and part of the floor, enveloping whoever sat at the computer. 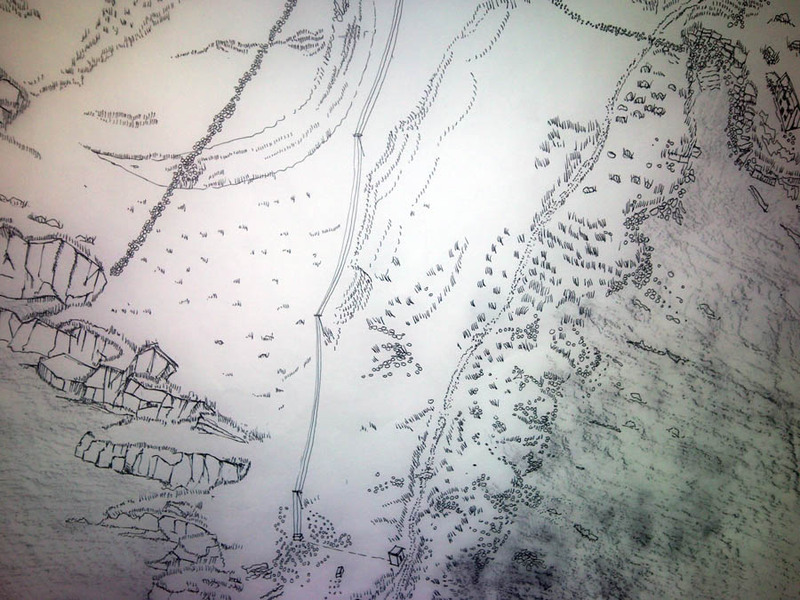 With this dense display of digital information there was no space for drawing by hand. It was at the ESALA Degree Showcase, that one was given the chance to pick apart the individual schemes. Staged over two years, the Master of Architecture is centred on an overarching research theme with focus on a particular city. This year the theme was “Irrigations: Spatial dialectics of a global place.” Presented over three floors as per Final Review there was plenty space to walk around drawings and models. Banner plots and beautifully crafted rather fragmented physical models seemed to be de rigueur. With the ambition to curate an exhibition, ESALA students clearly show commitment and pride in what they do. Not only does such an event go someway in externalising work to a wider public, it also offers one the opportunity to critically reflect upon work to date. 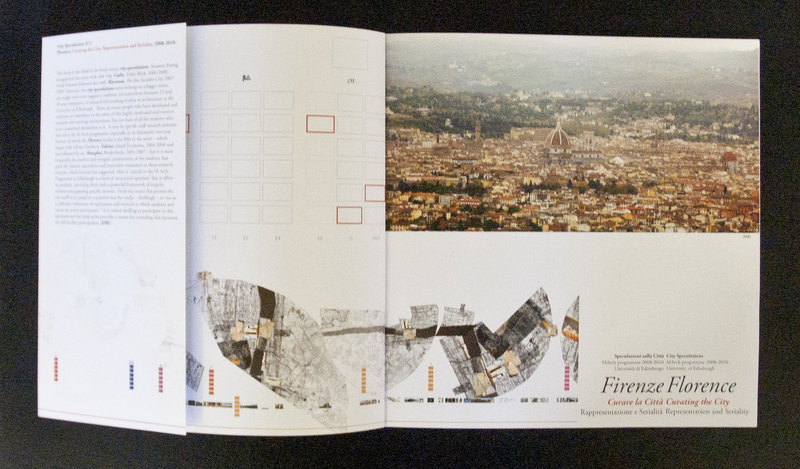 ESALA produce a publication that contains essays and student work, published at the end of summer, allowing time for a refined overview of the city of study, and the theme. With projects in Tokyo, Napoli, Israel and Palestine, the Degree Show at Strathclyde proved to be impressive in scope and thought provoking throughout. My guided tour was provided by Gary Cullen, whose project focused on the Israel-Palestine separation barrier and a series of fictional future scenarios. Gary explained that the school has a significant exchange programme, the influence of which could have been evident in the variety of presentation methods and choice of sites. 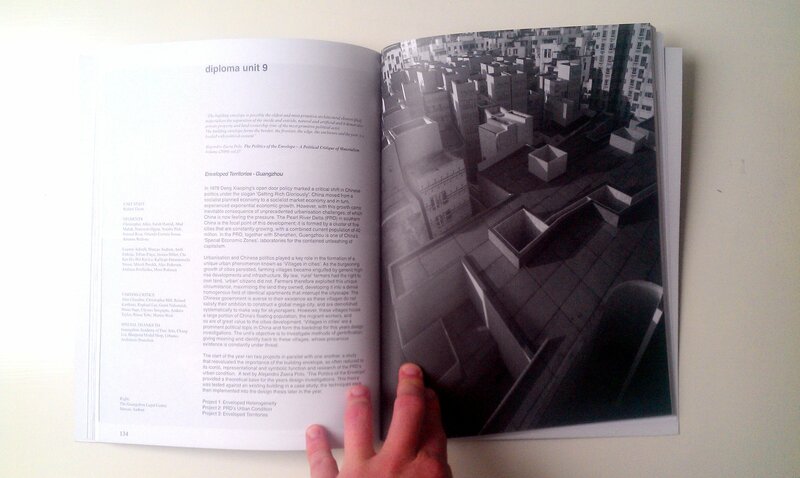 However, most conformed to the standard “pin-up” of architecture school. Containing four units, the exhibition was linearly arranged within the expanse of the studio, one walking seamlessly from unit to unit, white space provided by the rhythm of north facing windows. Ranging from GIS (a tool for analysis of cartographic and statistical data), design coding and to the more experiential-based design methods of creative writing and painting, the Strathclyde school certainly has clearly identifiable final year units. Year 5 is a PG Dip, students are invited to undertake Masters on completion.